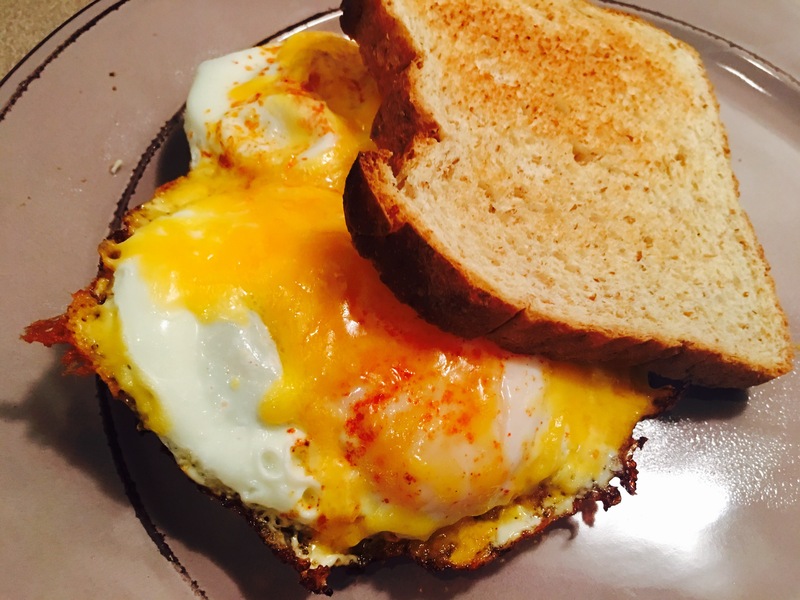 Eggs and toast two ways – Hurried Home Chef! I’m not sure where this one came from, but I learned it in England. 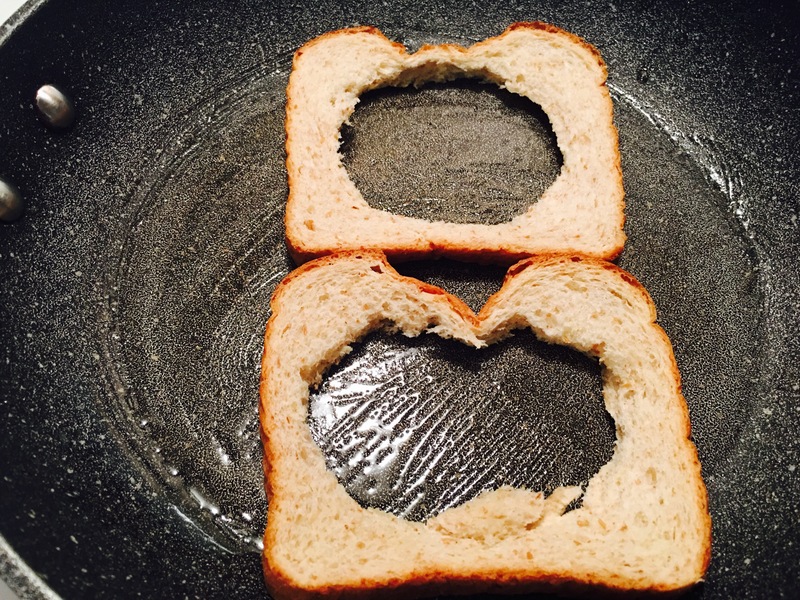 Cut a hole in your bread, this was slightly too large though. Start to cook on medium to med-high heat and flip. 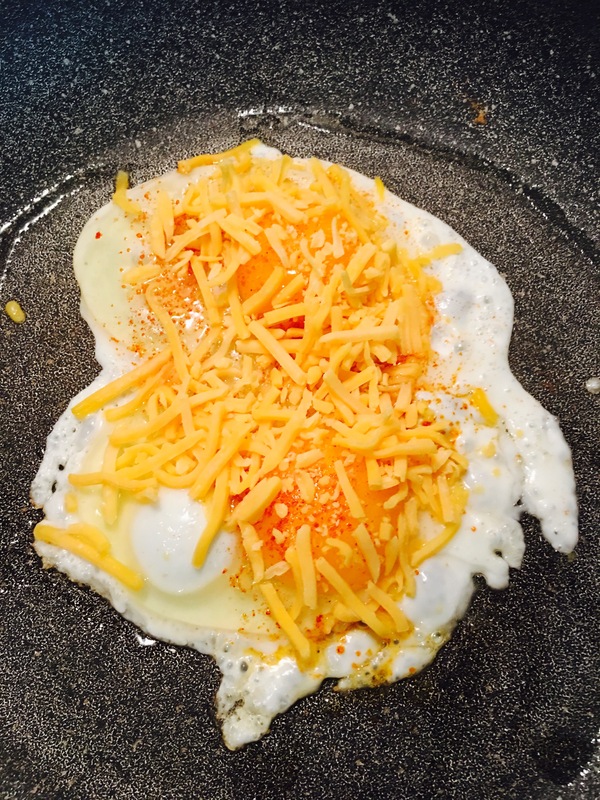 Crack an egg, season and add cheese if you want. 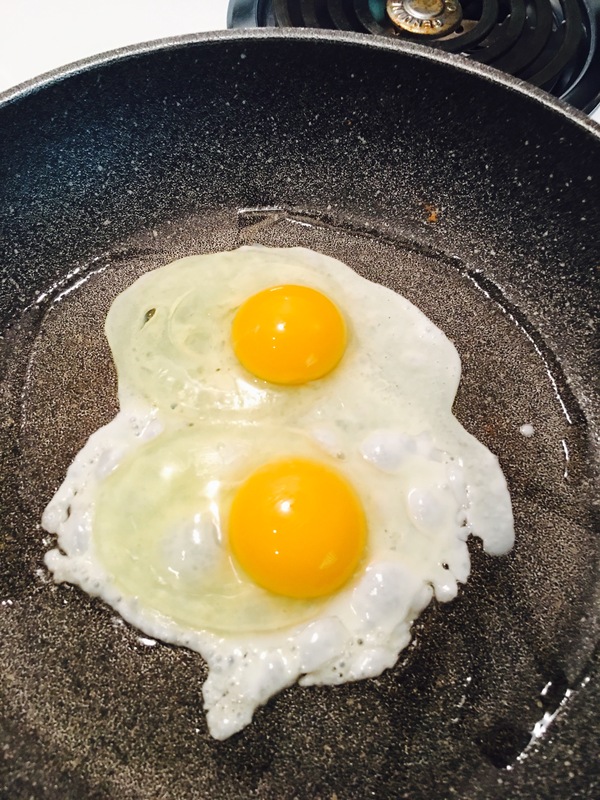 Cook until whites are fully done and the yolks are how you like them. I used a cover to get the whites firm but the yolks runny. 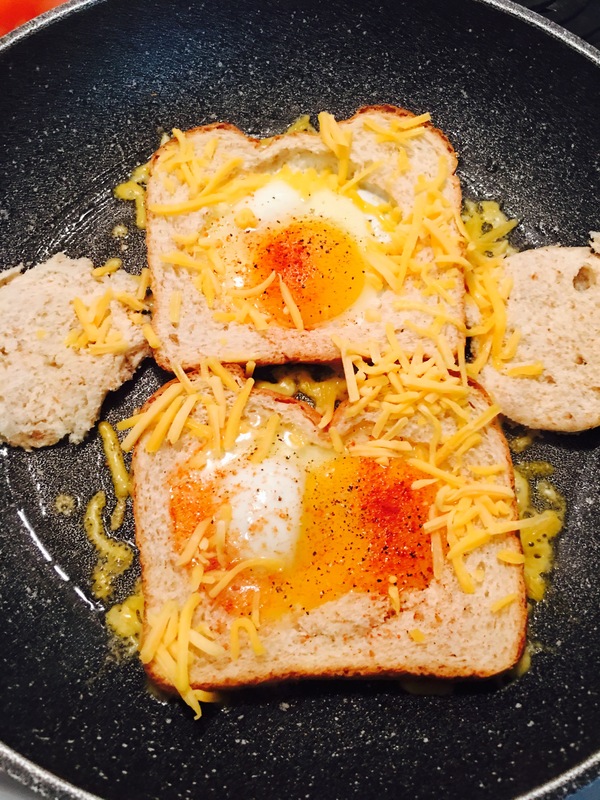 For a more standard sammy, just make your eggs, top with cheese, season, cover. Toast the bread in the toaster and place on top. 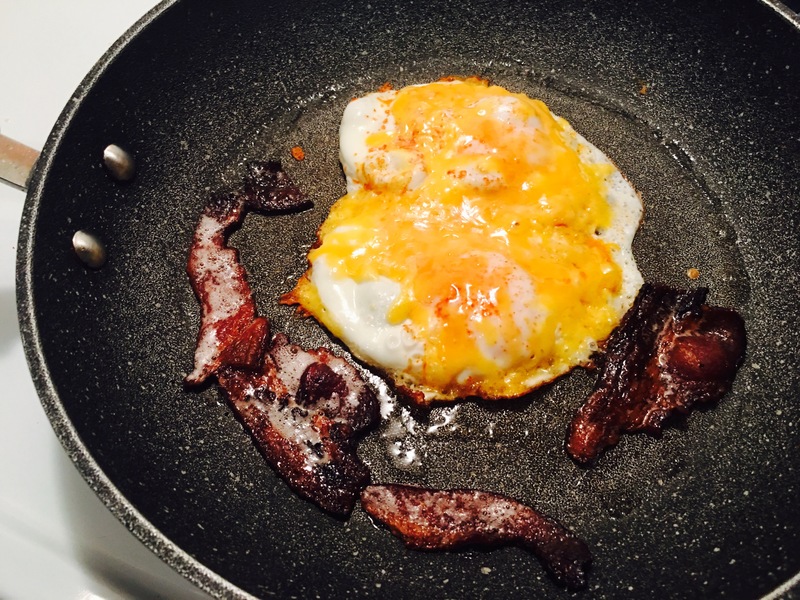 You can add your ham, bacon, and/or sausage. Previous Post Baking some beef patties in Houston! Next Post Spinach stuffed chicken with brussel sprouts and sweet potatoes.